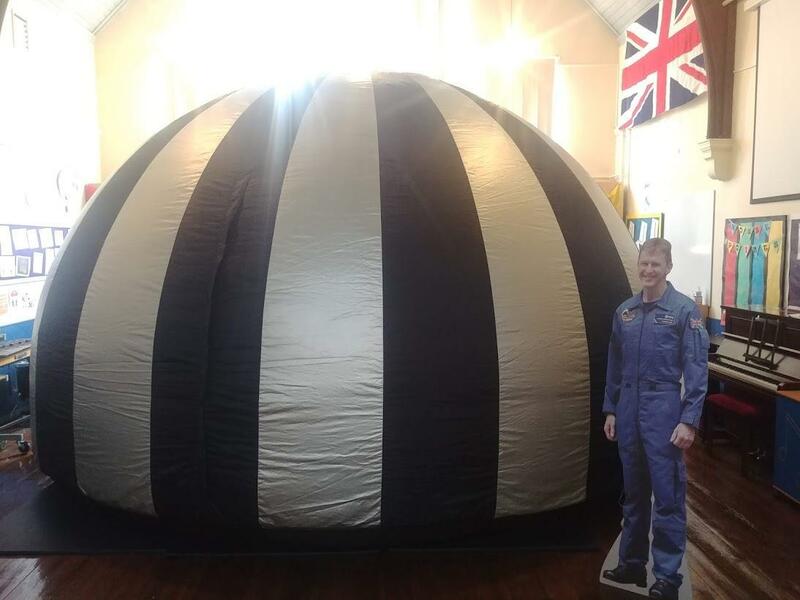 Using State-Of-Art digital projection, our mobile inflatable planetarium can be bought into schools and other organisations, such as Astronomical Societies, Brownies, Scouts and other organised events. My audience-interactive, presenter-led planetarium shows reproduce the night sky in all its glory underneath the darkened planetarium dome. Sit under a full sky of stars, see The Milky Way and go on a tour of the night sky as seen during different times of the year. Hear some of the mythological stories of the constellation and be wowed by many astronomical sights, concepts, facts and figures. All the planetarium content has been specifically designed to educate and entertain all ages and levels of astronomical knowledge. A maximum of 25 people at a time can be accommodated in each planetarium show. Up to 6 planetarium shows can be performed a day. 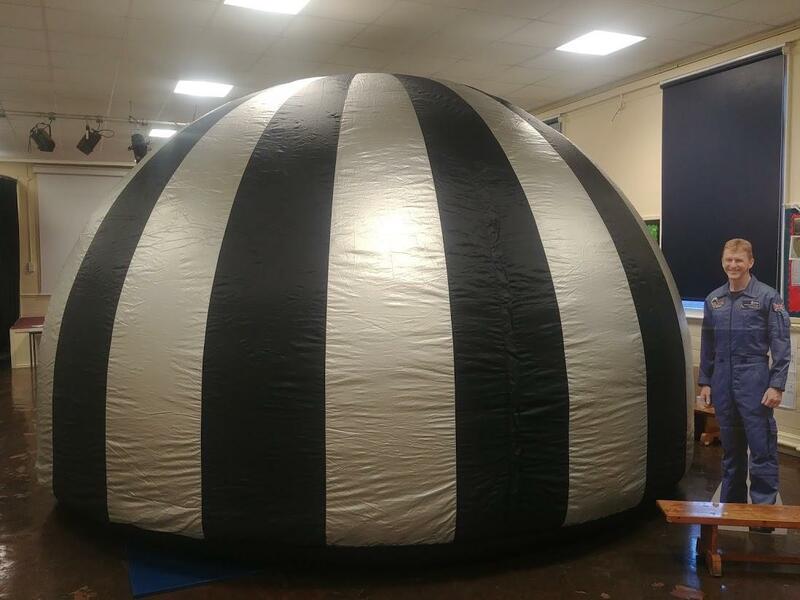 Our 5m planetarium needs a lot of space and a clean floor to be set up. The room size needs to be a minimum size of 6 metres x 6 metres and a height clearance of at least 5 metres. A school hall or gym is ideal. I have a current DBS Certificate, but all children attending must be accompanied by a parent or teacher at all times during the planetarium shows. All our electrical appliances are routinely checked for safety. They undergo an annual In-service inspection & testing of electrical equipment (PAT Test), to ensure complete safety.